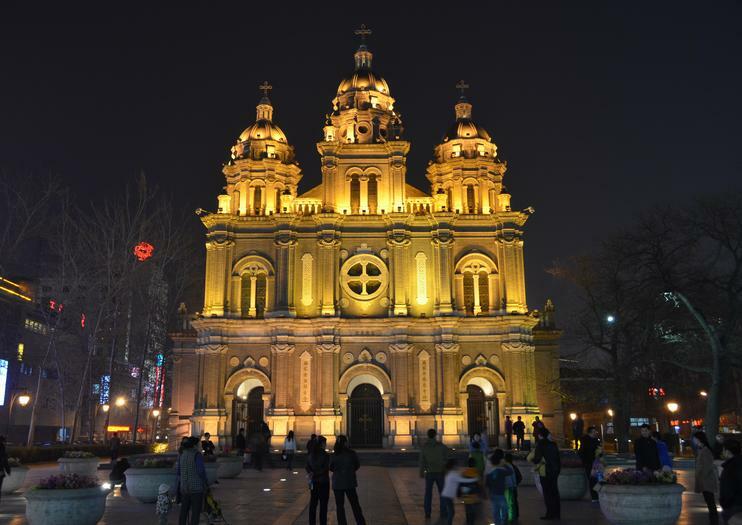 Located on Wangfujing Street in the Dongcheng District of Beijing, St. Joseph's Church (sometimes referred to as the East Cathedral), is one of four significant Catholic cathedrals in Beijing. The construction of the church was finished in 1655, making it the second oldest in the city after the Cathedral of the Immaculate Conception. Throughout the years, St. Joseph’s Church has seen a number of restorations. It’s a huge and imposing grey stone building, predominantly Romanesque in style but with some Chinese architectural features. Over the years it has become not only an important venue for Catholics, but also a significant cultural site and a popular attraction for visitors to Beijing.